In the present age, videos are an integral part of our lives, whether you are an armature taking home videos of social media and YouTube or you are a professional videographer, you cannot do without a video editing software. 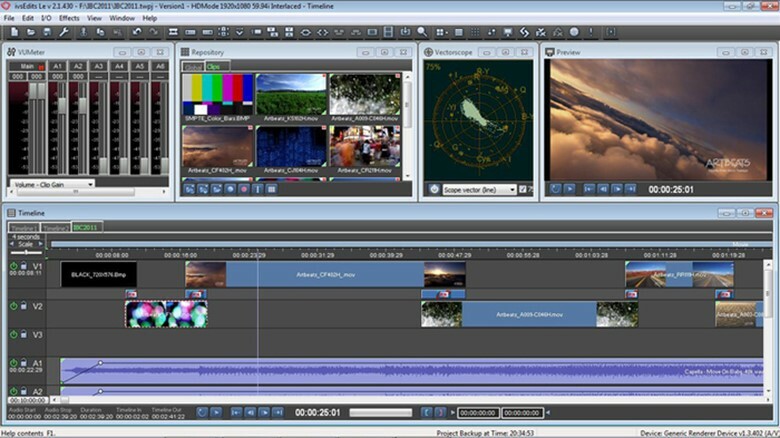 Video editors allow you to edit videos by trimming, joining, copying, cutting, video clips et al. Recently comprehensive video editing software can also edit audio tracks that you wish to combine with video clips, and images to make an amazing video. If you are still on the lookout for a video editor, your search ends here. ivsEdits is a famous video editing software, and in this guide, we not only look at its features, but we also explore why millions of people download the software since its launch. This is a professional non-linear video editing software developed for 2k, 4k, SD, and HD editing in RGBA 4:4:4:4 color space allowing for superior and high-quality outputs. ivsEdits is a free software that packs features from professional video editing software though it has a few limitations. It is a timeline based and resolution independent video editing software that features advanced video editing tools such as a maximum of 4 live inputs, real-time effects, live non-linear multi-camera editing, excellent editing tools, et al. ivsEdits is a software that comes with a tag, ‘Made in Italy’ by IVS. In 2008, IVS released the commercial version following IVS’s first international show at IBC in 2008. It made international headlines after HDVideoPro reviewed it in 2009. However, after a successful run with the commercial version, the developers released a free version, and they named it ivsEditsLE in 2013. The toolset in ivsEditsLE is similar to the commercial one though it has a few obvious limitations. It lacks PAG timeline playback, AVI uncompressed timeline playback with Alpha channel, IMX 30/40/50, XDCAM HD 4:2:2 50Mbits and some additional software including integrated CG, professional TV playout, file transcoding, among other features. However, ivsEditsLE’s license is closed source or freeware, and you can use it for an unlimited number of times. There are some sites you can download the software, but it is recommended that you download from the official site, www.ivsEdits.com. 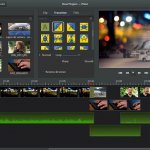 Below are the features that make ivsEdits video editing software the best among its peers. ivsEdits has a resolution independent Timeline that allows novices and professionals to match and mix source materials in a diverse scope of native HD, SD, as well as 4k file formats such as XDCAM SD/HD/EX, MPEG1/2/4, DPS/DVA, DVCPRO25/50, and so many others. The timeline also supports Quicktime, MXF, WMV, and AVImedia file containers. After you import all your media, they are automatically scaled to match the current project settings using some of the best algorithms to preserve the image and video quality. ivsEdits also supports a non-destructive Zoom and Pan of large video clips and images. ivsEdits allows you to add onto the timeline an unlimited number of live clips from as many as four different live inputs. This allows you to edit video clips in real time and professional journalists have found this feature indispensable. You can also add pre-recorded clips such as titles, images, videos, graphics and audio to the same timeline as your live clips. 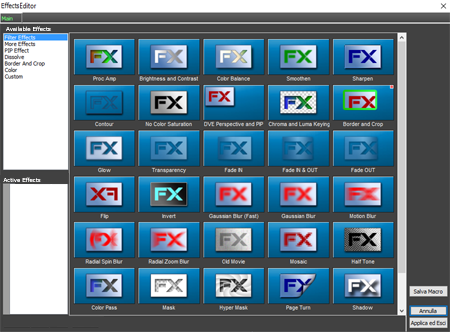 The beauty of it all is that you can add the powerful ivsEdits effects including Chroma and DVE Key, enable the live features of the Live Switcher, et al. The icing on the cake has to be that several users can collectively work on a standard GB LAN, share the same NAS storage without having to get expensive options as is common with other video editing software. This means that various people can work together on a single project using advanced tools embedded in the software such as automatic clip collections and multiple ingestings. With additional ivsEdits instances all working on one or multiple computers you can synchronize them to play multiple movies at a go or schedule them to play one after the other. AS you will find working with ivsEdits, the software is centered on the needs of production of life events, and this is where live multi-camera editing comes into play. Live multi-camera editing allows you to shoot and edit clips using real-time signals streaming from up to 9 cameras. You can make the necessary modifications and deliver the final video shortly after the end of the live show. This feature is available for the commercial version and ivsEdits has one of the most advanced Instant Replay System in the world. The feature allows you to handle easily complex multi-camera replays especially for sports productions for television or live events. With the feature, you can analyze, and playback recorded videos from sources such as the Video Assistant Referee System (VAR). In the course of the event or after the event, you can use the available highlights on the Timeline to deliver the project in a wide range of formats. These are just, but a snippet of the transitions and effects and all the effects support professional core framing with the Bezier Spline editor. ivsEdits comes embedded with a professional video capturing tool called ivsCapture and it is widely used by broadcasters across the globe. The tool features the PLAY AND EDIT WHILE REC that allows you to capture live action or import clips in the background while editing the same clips in real time. Unlike other video editing software that you have to wait a while before editing, you can start editing the clips seconds after loading them to the timeline. This allows you to save time with your projects and you can always make the deadline. Vimeo has risen up the ranks to become a crucial video sharing site thanks to its no ad policy, and professionals and armatures alike appreciate and use it widely. ivsEdits is in partnership with Vimeo and you can upload your completed project directly from the software or the Bins with the help of the dedicated Print to Vimeo tools. The software supports all Vimeo accounts including Vimeo Plus/PRO, as well as the basic free account. The integration of Vimeo into ivsEdits offers you greater upload speed as well as pristine video quality of your uploaded clips. ivsEdits has a very easy learning curve and has tools developed to save you time while getting the ultimate editing accuracy. To export your timeline project to your video folder, place the purple bar on the segment of the timeline you want to export and choose your desired file extension from the I/O menu. Importing of video, audio and image clips is an easy job on ivsEdits and you simply drag and drop the clips into the video track. Transitions and effects make the result of your videos interesting to watch and they allow the systematic flow of all the individual clips. ivsEdits have hundreds of effects and transitions you can apply to your project in real time. The developers of the video editing software have several pages on their site that help users to navigate the ivsEdits software. They include answers to all the problems users have encountered over the years in the form of articles, as well as videos. IVS have staff versed in navigating video editors and they provide premium support all year round via email, telephone, remote desktop, online forums, and discussions as well as via Skype. This support is available to all users irrespective of their country of origin. Professional ivsEdits users also have created videos they post on YouTube and other video sharing sites like Vimeo that can also help you out. They also write articles that help you in understanding the software. However, it is important to keep your ear to the ground for any new developments to the software that can help you in your video editing process. 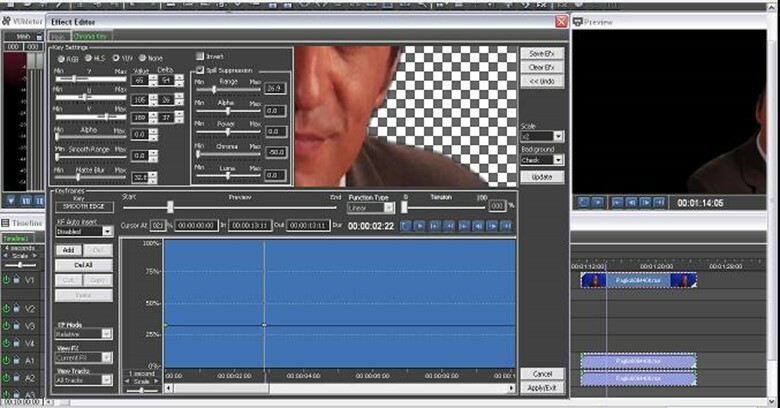 As stated above, the software has an easy learning curve that makes it easy for novice video editors to learn it. The interface can be slightly intimidating for the first few times you start using it, but looking at user testimonials on the internet, it becomes easy as you move along. The unlimited documentation as well as the robust online community of forums and discussions, you can learn how to navigate and operate the video editing software. ivsEdits do not compromise on the quality of the output after editing and for the best results, it is best to ensure that your computer is compatible with the software. Many individuals you will find venting on various sites about ivsEdits hardly follow the terms and conditions set by the developers on the type of operating system to use the software. The developers have come up with a dedicated benchmark, ivsEdits Speed Tester, which help tune your workstation’s system for the software. It is embedded in the ivsEdits software and you do not have to scour the internet to download it. There are also free tutorials on the ivsEdits Speed Tester to help you out in figuring it out. Using fast DDR 3 DIMMs may also help in improving the ivsEdits performance. The newer X99 based systems that come packed with PCI-E Gen 3.0 and DDR 4 can easily increase your X79 computer performance. Unlike many of the video editing software available for download today, ivsEdits is solely dedicated to the Windows operating systems. To have an easy time while editing you must have Windows 7, 8, 8.1, 10, and while 32-bit systems can support the software, developers strongly recommend the 64-bit versions of the said operating systems for the best output quality. Also required is a GPU of at least AMD/ATI Radeon Fury, RX 480, R7, R9, Nvidia GT/TITAN/GTX, HD6850-6950-7770-79XO, et al. For the software to work on your computer, you must have the Microsoft DirectX June 2010 Update; however, Windows 10 build 1511 does not require the update. You must also have the Apple QuickTime player 7.71 version or newer. Windows 7 Aero Glass has to be turned off while running the ivsEdits software to avoid problems during editing. The developers of ivsEdits update the software on a daily basis with new releases available for download on the software’s official site. You, however, do not have to wait for the next overhaul of releases they have an aggressive roadmap for the release of enhanced features. The new version 5.0 will introduce new and great features and it is stemmed to be revolutionary in the world of video editing software. 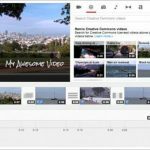 ivsEdits is arguably the best software you will find to edit your videos. However, the free version, ivsEditsLE, is lacking come essential features abut you can use it to learn for to use the commercial ivsEdits version.